July 23, 2013 | James P. Yudes, Esq. Currently pending in the New Jersey State Senate and the New Jersey Assembly Judiciary Committee are identical bills, which by their terms, would amend New Jersey’s alimony statute, N.J.S. 2A:34-23. Since the Divorce Reform Act of 1971, N.J.S. 2A:34-23 has been amended on seven occasions. Each time the design of the amendment was to bring the statute into conformity with case law as it had developed by the courts. The Office of James P. Yudes, P.C. has been instrumental in shaping laws on support to dependent spouses and children in the court system through the development of caw law. For example, in the case of Innes v. Innes, 117 N.J. 496 (1990), the Supreme Court of New Jersey held that when establishing alimony in a divorce the courts can look not only at a supporting spouse’s current earned income, but also what the supporting spouse’s assets are and what the supporting spouse’s earning potential would be if the supporting spouse dedicated diligent effort to his or her occupation. In Miller v. Miller, 160 N.J. 408 (1999), we were successful in persuading the Supreme Court of New Jersey that Federal Tax law does not limit the definition of “income” for purposes of determining what the supporting spouse’s income is when computing alimony, and that income should be imputed based on assets invested for growth. In the area of child support, in Caplan v. Caplan, 364 N.J.Super. 68 (App. Div. 2003), the Courts established how to compute child support when dealing with imputed earned income and assets. In Robertson v. Robertson, 381 N.J. Super 199 (App. Div 2005), the Appellate Division to affirmed an award of permanent alimony to a homemaker. For over thirty-two years, the New Jersey legislature has left the evolution of the law on alimony to the courts through the development of case law such as the ones referenced herein, recognizing the courts that were best equipped to develop the law with all its nuances. Senate Bill S 2750 and Assembly Bill A 3909, however, represent a departure from the State Legislature’s long-standing tradition of allowing the law on alimony to develop and evolve in the court system. The currently pending legislation indicates that its purpose is to eliminate permanent alimony in New Jersey and to establish specific guidelines for the amount and duration of alimony awards that the courts can award. The effective date of this new legislation would be October 1, 2013. The proposed statute has not, as of this writing, been brought to the floor of either house of the Legislature. However, since the bills pending in the Assembly and Senate are identical, the likelihood of a new alimony statute being enacted is high. The new statute would revise the criteria that the family courts are to consider when computing alimony by mandating that, “The court may attribute income to a party upon a finding that the party is voluntarily underemployed or underemployed based on that party’s age, physical and emotional health, earning capacity, educational level, vocational skills and employability”. This provision seems to make it clear that both parties have a duty to maximize their incomes when alimony is being considered, which seems to generally follow our established case law. However, our present law clearly recognizes that the custodial duties of a parent are to be factored into the alimony matrix, whereas responsibility for the custodial duties of a parent for children is conspicuously absent from the current pending legislation. As indicated, the proposed statute eliminates permanent alimony in New Jersey and provides that alimony should generally not exceed 30 to 35 percent of the difference between the payor spouse’s and the payee spouse’s incomes. The statute does allow for departure from its rule of thumb under dramatic circumstances related to advanced age, physical abuse or lack of property. The legislation also codifies some existing case law on alimony, starting with the precedent established in Gayet v Gayet, 92 N.J. 149 (1983), in which the Supreme Court of New Jersey held that alimony may be modified or even terminated based on the supporting spouse cohabiting with a paramour in a relationship that is tantamount to marriage. 4) “Limited Duration Alimony”, which would be the most usual form of alimony if the statute passes. In marriage or civil unions with: (A) durations of less then five years, alimony would not be awarded for a term of longer than half the duration of the marriage or civil union; (B) durations of less then ten years but move then five years, the term of alimony would not exceed a period longer than sixty percent (60%) of the total duration in months of the marriage or civil union; (C) durations of less then fifteen years but more then ten years, the term of alimony would not exceed a period longer than seventy percent (70%) of the total duration in months of the marriage or civil union; (D) durations of less than twenty years but more then fifteen years, the term of alimony would not exceed 80% of the total months of the marriage or civil union. Lastly, the draft of the new alimony statute indicates that alimony in any form must terminate upon the payor reaching retirement age, even if the payor does not actually retire. However, the court, when setting the initial retirement date, could set a different date for the end of alimony that deviates from the statute, which would require specific statutory findings from the court. Needless to say, this new statutory approach, which is modeled after a similar statute in Massachusetts, constitutes a material departure from existing case law on alimony. In its current form, this new alimony statute would not apply to alimony decisions reached prior to the effective date of the statute, nor would its enactment constitute a “change in circumstance” to allow for an application to modify alimony without further justification. 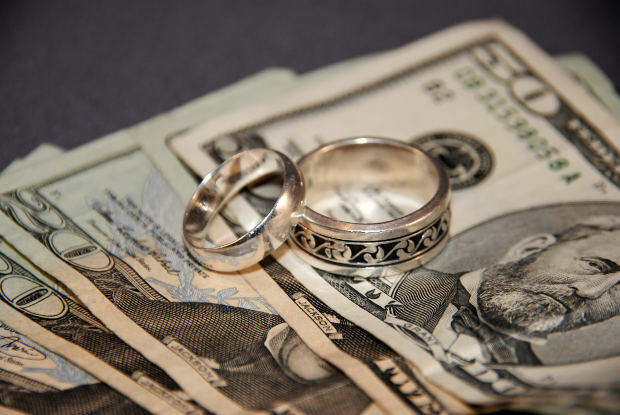 The Legislature’s intent in drafting this new alimony statute is to reduce matrimonial litigation. Whether this statute, if enacted, will accomplish the goal of reduced litigation is subject to debate. What is certain is that the proposed law dramatically changes the law regarding alimony.